BEIJING—Just two days after Americans elect a president, China’s Communist Party overlords will convene their 18th Congress, which will conclude a few days later when the names of the country’s next rulers will finally be made public. But though the timing of the political season in these two countries has overlapped, they could hardly be more different in style—and, judging from Chinese social media, it's not just Americans who think their “leadership transition” is more interesting than China's. Americans have been subjected to more than a year of nearly nonstop electioneering—the Republican primaries with their endless debates, the shifting lineup of improbable frontrunners, the attack ads, the conventions, “47 percent,” the tracking polls, Nate Silver’s projections, and the impact of Superstorm Sandy. Chinese, meanwhile, have been subjected to—mostly an official media blackout. 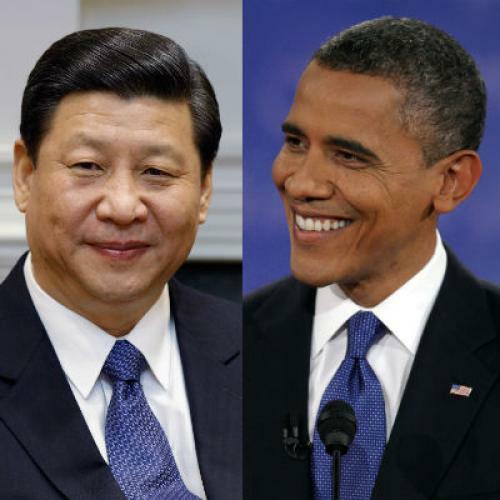 And unlike the U.S. election, which has unexpectedly turned into a down-to-the-wire contest pitting Mitt Romney’s “momentum” against Barack Obama’s machine, the outcome here in China has never really been in doubt, at least not since October 18, 2010. That was the day the Party’s Central Committee formally named Vice-president Xi Jinping as vice-chairman of the powerful Central Military Commission. Xi’s elevation to the commission—the body in charge of the 2.3 million-member People’s Liberation Army—squashed any lingering rumors of backroom palace intrigue and cemented the portly Xi’s standing as China’s president-in-waiting. So for Chinese, the only thing left to game out is the list of people who will round out Xi’s leadership team. And that decision, like the vice-president’s appointment, won’t be made by China’s 1.3 billion citizens. Neither will it be made by the 2270 delegates to the Party Congress, despite all the elaborate trappings being put in place for the conclave. Rather, the decision on who runs China will have already been made by a tiny clique of old Communists stalwarts, including the current Politburo members and a handful of of septuagenarian and octogenarian Party Grandees. But China’s Netizens are intensely following this fall’s other big leadership contest, the one going on now in the United States. It offers everything the transition here doesn’t—competitive campaigns, televised and often testy debates, public participation, and, most of all, real suspense about the outcome: in short, everything that civic-minded Chinese long for. The fact that the Chinese public was watching the American campaign and openly pining for the same thing in their country became so worrisome to the country’s Communist rulers that they decided to launch a counterattack. A spate of commentaries and editorials in the tightly-controlled state-run media—the opposite of the freewheeling, publicly-accessible weibo—have cautioned China’s citizenry not to be lured by the spectacle of American-style political theater. The reasons China’s Communist rulers insist their country can't abide a more open democratic process are familiar cliches by now. China is still developing, and democracy is a luxury of the more advanced Western nations. Chinese people care more about getting a good job, finding decent housing, and educating their children. And of course there is the old “Asian values” meme; that democracy runs counter to East Asia’s paternalistic Confucian tradition. The problem is that when the Chinese public receives exposure to democratic elections in other countries, it clearly likes what it sees. This isn't just a matter of watching the U.S.; Chinese are also observing the democratic progress in neighboring countries. Burmese voted in parliamentary elections in April that brought Aug San Suu Kyi into parliament after years of house arrest. South Koreans will vote for a new president in December. And Taiwanese—which China considers a rogue province—turned out in large numbers in elections last January that returned President Ma Ying-jeou to office. Whether China will remain a democratic outlier in the near future will largely be determined by Xi, the man who will take the helm of the Communist Party in November, and Li Keqiang, who is widely tipped to become his prime minister. And despite some optimism from those wishing for reform, no one really knows for sure where they stand. “The question is, how capable are they?" said Li Datong, the journalist. "Can the Party bear the idea that their power will be weakened, and they might possibility lose their regime? Whether the Communist Party is ready for that or not is a mystery.” But while China's rulers ponder such questions behind closed doors, the Chinese public will continue advancing the conversation without them. Keith Richburg is the Beijing correspondent for the Washington Post.